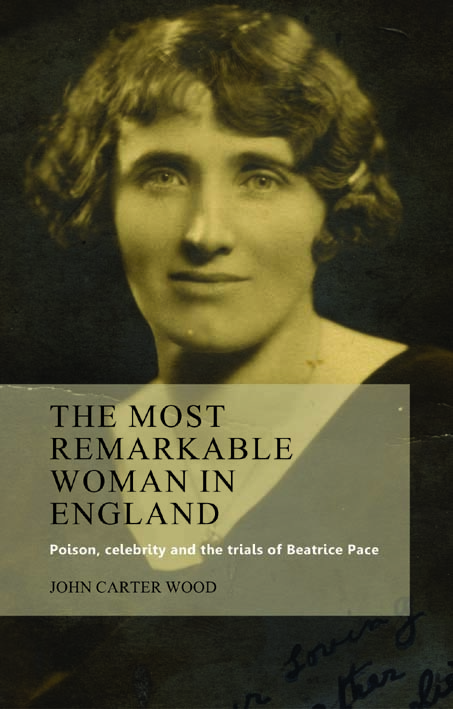 In the summer of 1928 the trial of Beatrice Pace sparked spectacular press coverage, heated parliamentary debate and intense public emotion. On 31 August, we release the first book on this now-forgotten episode from the golden age of press sensations. On 6 July 1928, Beatrice Pace left the Gloucester Shire Hall a free woman after being acquitted of the arsenic murder of her husband. She was met not only by a boisterous crowd of thousands of well-wishers but also by flocks of reporters who brought her trial—‘one of the most amazing within living memory’ (News of the World)—to the next morning’s front-pages. But her acquittal is only the beginning of the story. Pace sold the rights to her ‘tragic’ life-story to the Sunday Express, and her treatment by the police and justice system was debated in the press and in Parliament. Tourists converged on her isolated home. Men wrote to propose marriage. Now forgotten, Beatrice Pace was a household name in 1928, and her case was a touchstone for discussions about domestic violence, civil liberties and the plight of poor people accused of serious crimes. Drawing on extensive and original research, this book, for the first time, recalls this hidden chapter in the annals of British crime, telling Pace’s story and placing it within the fascinating context of inter-war culture, media, law and politics. It spans settings from a lonely cottage in the Forest of Dean to the House of Commons and sources ranging from meticulous detectives’ reports to heartfelt admirers’ letters. It also speaks to issues of enduring interest. The public still finds heroes and villains in stories of crime and murder, imagining close connections to strangers known only through the media. The astounding letters Pace received allow a rare insight into the reactions of press readers. Historian John Carter Wood uses such vivid sources to reconstruct the unforgettable story of the person the Sunday Express dubbed ‘the most remarkable woman in England’. The book will be available from 31 August 2012 (US and Canada 2 October). Category: Anthropology, Cultural Studies, History, Sociology	0 Comments.